The Rhine Education Center in Durham, North Carolina announced Winter online courses will be offered in parapsychology. The Professional Parapsychology Courses begin February 2019 and run for eight weeks, and students having the option to apply classes toward a parapsychology Certificate Program. The Rhine Education Center has a number of certificate programs including: Academic Parapsychology, Parapsychology Research, History of Parapsychology, and Knowledge of Psi Phenomena. Though not an accredited institution, the Rhine Education Center provides a professional educational opportunity for students. Tuition is $249 per course, with lower rates for Rhine members or students enrolled in a degree program. In this course, students will explore the topics of field investigations more deeply, including methods related to specific models of paranormal phenomena from a scientific perspective of a parapsychologist. Learn how to handle field research, issues related to public haunts vs. private home cases, and methods for exploring evidence and analyzing data to reach a conclusion. Qualitative Research Methods with John G. Kruth, M.S. Psi phenomena typically occur in spontaneous situations or in environments that do not transfer to a controlled laboratory environment. Qualitative research methods provide a way to explore this type of event in a controlled scientific manner. This course is designed for the serious student and qualifies for many certificate programs. It is strongly recommended that students have taken the Rhine “Research Methods” course or have previous experience with research methodology. While students are encouraged to attend the eight live presentations in a course, recordings will be available for registered students unable to join the live stream, making it more convenient for adults with busy schedules. Students will also be able to interact in the classroom forums, ask instructors questions, and receive feedback. To see course details, visit www.RhineEdu.org. 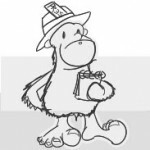 Follow Rhine Education Center updates via their Facebook page. 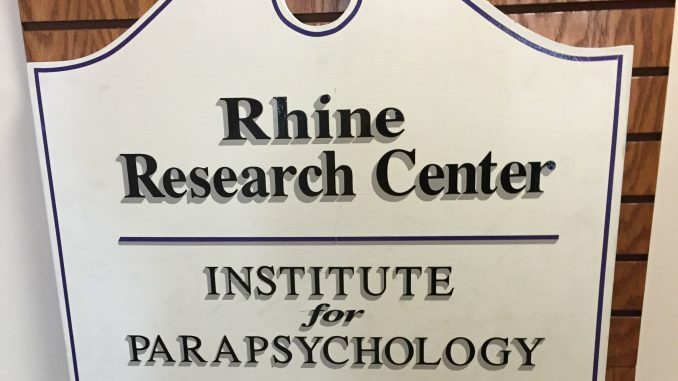 The Rhine Education Center is backed by the integrity and knowledge of the Rhine Research Center, which is the oldest and most respected parapsychological research center in the United States. Since 1935, the Rhine has provided a sound scientific basis for the phenomena studied by parapsychologists, and the academic quality of the research at the Rhine is the foundation for modern parapsychology. The Rhine Research Center explores the frontiers of consciousness and exceptional human experiences in the context of unusual and unexplained phenomena. Rhine Research Center is the world’s first facility “built for experimental work in parapsychology”, located at 2741 Campus Walk Avenue, Durham, NC. The research facility also houses the Alex Tanous Research Library, and hosts programs on Dream Studies, Psychic Experiences, and more. Visit the Rhine Research Center online at www.rhine.org.